Although David Bowie hasn’t appeared on stage since 2006, many have hoped that the stratospheric pop star would make a triumphant return to the stage at a massive festival, one day. It seems like we will never hear the world-famous musician after his booking agent announced that he has “retired” and that he will “never tour again”. This scuppers rumours that he may perform at Glastonbury in 2016. 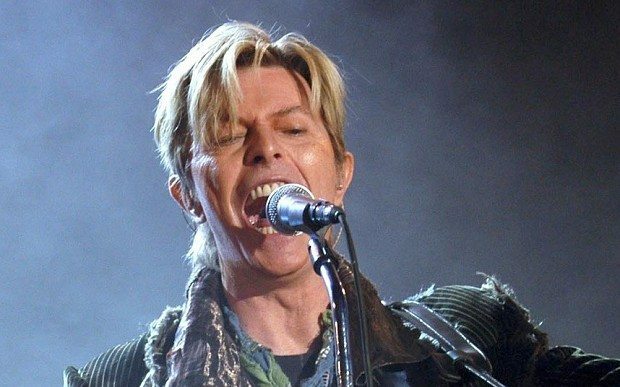 John Giddings, who spoke at the International Festival Forum in London last weekend, has confirmed that Bowie’s performance at the 2004 Isle Of Wight Festival was the last time anyone in the UK would see him perform live. Bowie hasn’t retired completely, however, and is still creating new music.The musician recently wrote the theme song for the forthcoming TV show The Last Panthers, entitled Blackstar, while his Off Broadway musical Lazarusopens in December, and will feature new songs. The musician also won a Brit award last year for Best Male Solo Artist – an award he had claimed 30 years previously- for his album ‘The Next Day’.